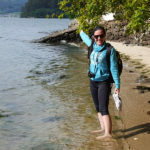 Your journey on the Camino de Santiago will take you up, over and around many different types of terrains. Climbing through forests and any of the uphill areas will be challenging so having a good pair of trekking poles will keep you balanced and help you to climb along the way. To celebrate the outdoors and our love of walking we have teamed up with Pacemaker Stix to give you the chance to win one of three sets of brand new trekking poles. For the runners up who enter the competition we have some great walking guidebooks from Cicerone Guides. Use the poles as a hiking helper: Trekking poles can be very helpful when you encounter obstacles in the trails. 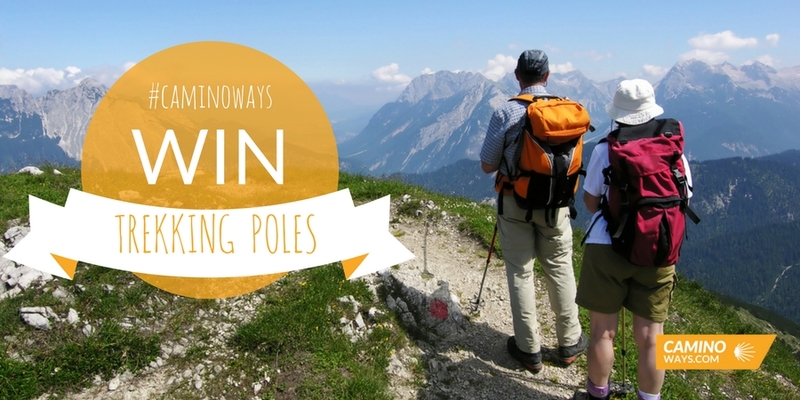 Poles will help to provide stability when you encounter rocky terrain, steep hills and streams. For instance if you encounter a large puddle you can use the pole to test how deep the water is. Also, you can use the poles to improve your balance on steep inclines and descents. Walk naturally when you are using the poles. To keep your natural rhythm make sure that the poles are right length and that you are lifting the poles off the ground at the right intervals while walking. Adjust the length of your poles to your height and keep them short enough that you can lift them without feeling awkward. Open the strap so that you can get your hand through to grip the pole comfortably. Once you have found your grip, tighten the strap if it is too loose and adjust it for different terrains on the routes. Collapsible poles are great for travelling. Often you can tie them to the back of your backpack or even put them in your backpack when you are not using them. Use the baskets on the bottom of the poles to stop the trekking poles from sinking too far into muddy surfaces. On steep walking sections uphill shorten the poles and keep the poles close to your legs when walking. For very steep areas such as the Pyrenees, it is advisable not to use trekking poles unless you are very experienced. When walking downhill stretch the poles out in front of you to help protect your knee joints. Wrap duct tape around your pole for emergency use. If you are out on the Camino routes without trekking poles you may be able to pick up a stick along the way. If you are considering whether or not to use walking poles here are some pros and cons. I could always use these to help stay fit in the winter. Hi Denis, Although there is only very few ice machine in Europe’s hotels, if there is a bar or a restaurant, they should be able to help. Will there be ice at our accommodations ? I can bring a gel pack in my luggage that you will transport for me if not but also wonder if that gel pack can be put in a freezer for me. Thanks ! Apologies Kevin, your details have been added to the competition. Good luck!